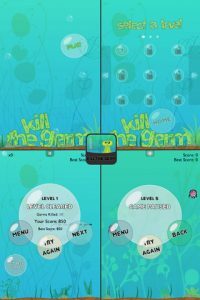 Kill the Germ, developed by Md Moidul Hasan, is a quirky, addictive, fun, and brain-teasing little iPhone game that might just become your next mobile gaming addiction. 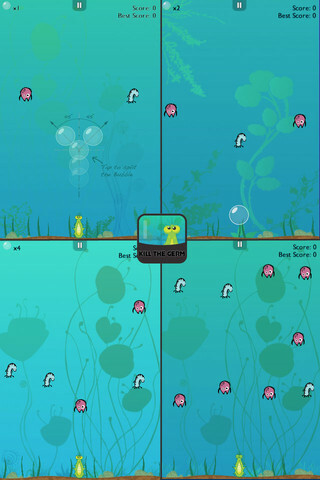 Despite the ease of gameplay, there’s a tremendous amount of strategy involved in every round of the game, and it’s quite a brain teaser the further into Kill the Germ you get. It’s a simple iPhone game that, while not providing amazing visuals, is still tons of fun to play. 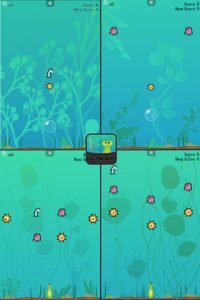 Overall, there are 20 levels that you have to master before you can rid this semi-aquatic landscape of every single germ. 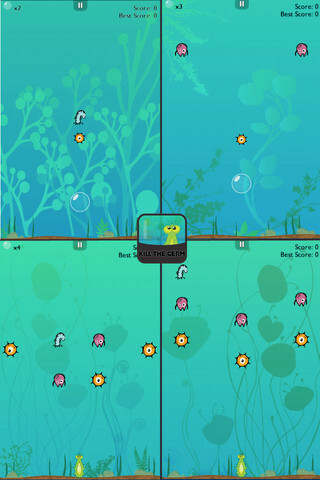 Along the way, you’ll unlock different weapons, allowing you chances to beat your high score and challenge yourself to do better with each round. The graphics, while pretty minimalist, are pretty cute. It’s sort of like an aquarium, peppered with a variety of tiny little germ bugs. 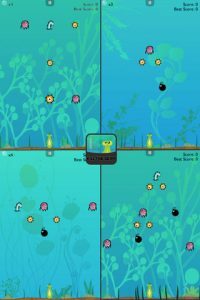 All in all, Kill the Germ is worth checking out for its surprisingly smart blend of strategy, style, and addictive pop-’em-up action. 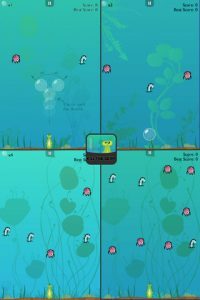 The game may be a bit on the short side, even for a free app, but it is absolutely worth checking out if you’re into games like Cut the Rope or other similar puzzle titles. It may never replace Angry Birds in your life, but Kill the Germ is still a pretty fun little iPhone game that can be just as addictive, just as frustrating, and just as compelling. 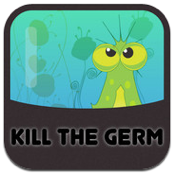 Kill the Germis compatible with iPhone, iPod touch, and iPad. Requires iOS 4.0 or later.